Small and medium companies and individuals. Specific applications include inventory management, medical practice management, Real Estate CRM or Notes/Documents Organization. 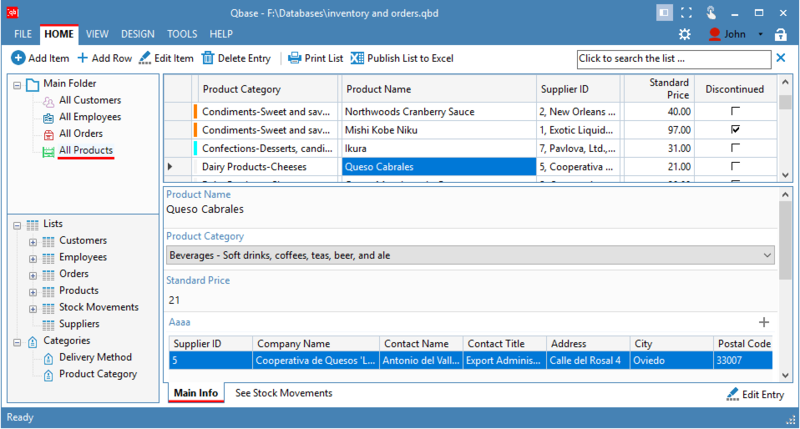 Qbase is a highly customizable database manager for home and small business users. You can build your own lists by choosing from a variety of column types to store information such as names, numbers, notes or images, and easily define relations between different lists. Each list can easily be customised by deciding which columns to show or edit, setting filters, sort patterns, color formatting and more. Qbase is a security-minded solution and does not require signing up for a cloud account. Cons: I have no complaints about the site, everything has seemed excellent to me so far, I will continue to use the service for a long time.